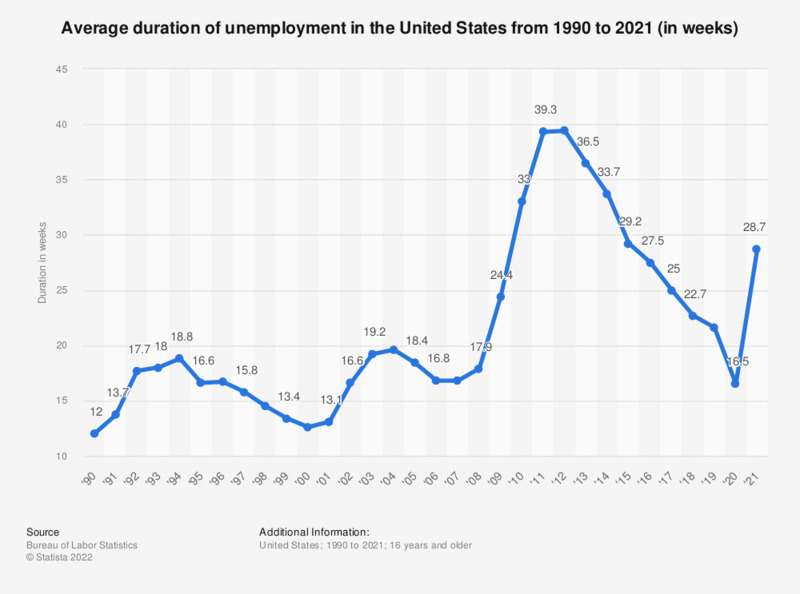 This statistic displays the average duration of unemployment in the United States from 1990 to 2018, in weeks. In 1990, the average duration of unemployment was 12 weeks. The duration increased to 22.7 weeks in 2018. For monthly updates on unemployment in the United States, check either the monthly national unemployment rate here, or the monthly state unemployment rate here.